Discover 3 top rated replacement windows that will provide excellent quality and performance numbers and look fantastic. These five selections are all over $750 per window installed. The Marvin Infinity windows have two options available, you can choose the complete Ultrex frame or you can go with the Everwood interior which is a wood veneer with an Ultrex exterior. Both offer easy maintenance and are replacement windows. While more expensive that the Integrity windows offered by Marvin, these windows offer a thicker frame and more options including a lifetime warranty with a twenty year glass warranty. Looking at the performance numbers, they are good with a 0.30 U-Factor. The Marvin Infinity range is considered one of the best fiberglass window choices. These are wood clad windows which have been upgraded from their 200 series. They are better designed with more choices available including color and sizing options. This series is also available in two models, the Tilt-Wash and the Woodright. While the Tilt-Wash uses a better design when it comes to the sill than their 200 series, it does use the PPG Flexicron sash finish. The Andersen Woodright is the same as the Tilt-Wash when it comes to the frame and sill except they use a fibrex on the sash instead, which is preferred over the PPG option. The Woodright is limited when it comes to colors though, but it is still considered the best window from Andersen. The Marvin Ultimate is a higher end custom wooden window which is seen as one of the best wooden options available on the market. They are nice looking windows offering homeowners the ability to choose their preferred wood from Pine, Mahogany, White Oak, Cherry and Douglas fir. With the ability to upgrade and customize the windows, the price can increase dramatically, in some cases you can expect to pay in excess of $1,000 for each window. Loewen is known mainly for their high quality wood windows. Loewen windows are considered one of the top manufacturers of high end wood frame windows in the indsutry. Their products are not inexpensive though. 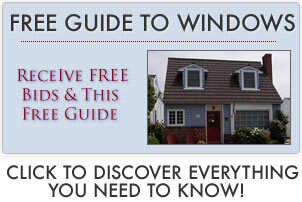 Expect to spend on average $1000 per opening for a double hung window with standard installation.